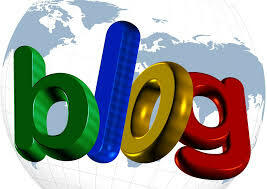 Many businesses rely on blogs to be showcased on the global market. If yours is one of them, consider using a professional translation service to get noticed by a global audience. Do you want to save money and use a machine translation instead? Please think twice before doing so. Research and consider what other respected companies have done and continue to do. For example, if I owned a paper magazine, I wouldn’t spend money on publishing un-reviewed content produced by automatic translation tools. The importance of titles cannot be overstated. These good friends help people find you on the Web. They also help people decide if they want to begin reading your blog. Whereas the translator spends a minute translating the title, your foreign audience will spend more time reading the entire article. Imagine you wrote about a serious medical topic. However, an auto-translation tool you employed to convert your text from one language to another transformed your serious work into a joke. For example, the UK doctors translated popular medical statements via Google Translate to 26 languages. Then, they asked native speakers of each of these languages to translate them back to English: “A cardiac arrest” turned into “an imprisoned heart”. A “fitting” child became one who was “constructing”. “Organs” for a donation was translated as “tools”, and a need to have someone’s lungs “ventilated” turned into a “wind movement“.1 The more specialized is your subject, the more attention and careful consideration are required to translate it correctly. Blog writers are usually talented people who produce text that is creative and that readers want to share. Using machine translations can alter their catchy style and ruin their creative efforts. By contrast, human translators use their translation skills to retain the creativity of the original text. Google does not appreciate seeing machine translations on your site and can penalize your website ranking in search results. Starting with machine translations and then editing them heavily is acceptable. However, using machine translations as they are (i.e., unedited) does not conform with Google’s guidelines for website translations. Whether you own a blog or use it as an information source, always think first about your readers. To earn their trust, use a trusted translation service. If you have a WordPress blog and post articles frequently, it can be difficult to manage translations for the entire content. A simple solution is to use the WPML plugin. Not only will it produce a multilingual website for you, but it also has tools to help you monitor the translation status of your posts. By using WPML’s integrated translation services, you can discover its pool of experienced translators and have your posts translated by professional human linguists. ICanLocalize is a leading translation service provider that works with the best native professional translators. We offer translations for more than 45 languages and are experts at localizing websites, blogs, apps, and software. You are welcome to write us at hello@icanlocalize.com or via Skype (icanlocalize) for more details. Follow us on Facebook, Twitter, and LinkedIn.